Hi friends! I am SO excited for Christmas!! Isn’t Christmas the best when you have kids? We are having a lovely Christmas season at home starting new traditions and celebrating the birth of Jesus Christ. 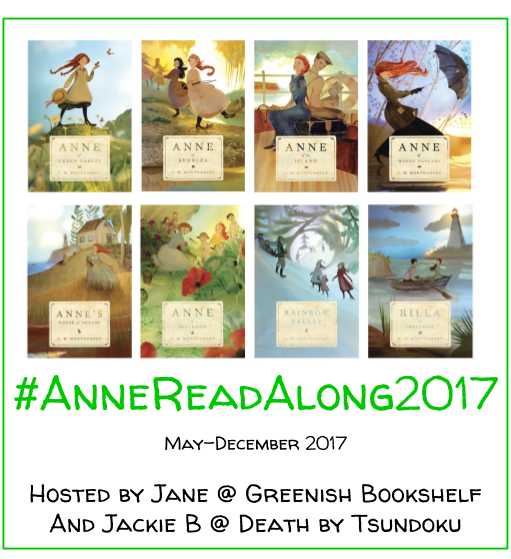 As I wrap up this year of reading, I am trying to catch up on my reviews before 2017 is over! I have just one more book to finish to meet my goal of 50 books read in 2017. But I am still several reviews behind (isn’t that always the case?). So today I am playing a bit of catch up and reviewing Charlotte’s Web by E. B. White. I chose this book as part of my list for The Classics Club because it is short (gotta have some balance with those crazy long novels!) and it’s a Newbery Honor Book. Plus, it was published first in 1952 so it makes the 50+ years old guideline for the CC. Apparently, there is an audiobook out there with White reading his novel–how neat would that be to read?! I keep raving about all the great children’s literature I’ve been reading this year and this one continues my obsession! This book is adorable! I love all the darling illustrations and the simple love between characters. It is also super quick. I easily read it in about 24 hours. This is a perfect read out loud book. I read a little bit out loud to my husband who has never read this before! That surprised me. I will definitely be reading this one out loud to our kids one day. I think this is the only book of E. B. White’s that I have read. But I know the story of Stuart Little. I keep seeing several E. B. White books at Half Price Books that I am tempted to buy. I would like to read more of his novels in future. I was surprised on this reread by Charlotte’s complexity. I remember her being kind and determined to save Wilbur’s life. While she is certainly determined to save Wilbur, she is also matter a fact about her way of life. She eats bugs and isn’t ashamed. She puts Templeton in his place. She doesn’t always do what Wilbur hopes she will. And she isn’t always kind. But I think that makes her more realistic. She isn’t perfect. But she does her best to save Wilbur. Wilbur is exactly how I remember him. His character is simple, innocent, and good. I love how emotional he gets about the possibility of being killed and the way he does back flips on demand. His sweet relationship with Fern is a favorite of the novel for me. What I think is most interesting about Wilbur’s story is how he changes his future. It seems hopeless but with Charlotte’s help, he does the impossible. The book is full of fun, simple characters. Most of them are not complex–they don’t change or progress in many ways. But they are delightful and endearing. I kept seeing the faces from the animated movie. I want to watch that again now.Fern makes me smile with her love of Wilbur and then sigh as she grows up. I find it fascinating that she can understand the voices of the animals in the barn yard. The goose makes me laugh with her constant repetition and sometimes silly advice. Templeton makes me cringe. I don’t like rats or mice so it was hard to like him. I appreciate what he does for Wilbur, but he really isn’t a very likable character. I liked how simple it was to shock the Zuckermanns and Arables. They are likable characters that work hard and have good hearts. The storytelling is simple and the plots are easy to follow. As this was a reread for me, I wasn’t surprised by anything that happened. But there isn’t anything terribly surprising that occurs, whether it’s your first or tenth read of this novel. Everything is very straightforward. I enjoy the simplicity. 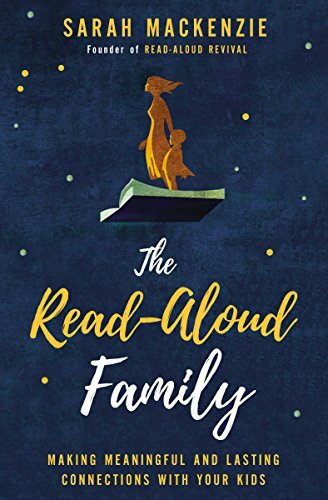 Beyond it being a darling children’s story that teaches the importance of friendship and love, there is not a deeper complexity to the novel. But with the right expectations, anyone can enjoy this novel. Such a sweet, delightful classic children’s novel. I haven’t read it in years and it was fun to experience the story again. What are some of your favorite children’s classics? This is my 19th novel finished for my list with The Classics Club! Check out my full list here. For more info on the club, click here. I absolutely adore this book! I listened to the audiobook narrated by E.B. White you mentioned at the top of this review — and it’s soooo good! I highly recommend it. I really appreciate the inflection he provides. I don’t feel like it was particularly life-changing, but White’s narrative style is practically perfect for this book. Oh my goodness! I seriously need to listen to that now. I think that would be so neat to listen to the way he reads it. Very cool. How old are you children? I wonder if I’ll be able to wait to read some of my favorite books to my kids once I have them… I don’t know if I’ll be able to stop myself from reading Harry Potter, Charlotte’s Web and The Golden Compass too early. Haha. It’s so hard to wait! I read out loud to my husband sometimes 😉 They are 3 and 6 months. And it’s going too fast already! Soooo hard to wait! But at least time flies, right? 😉 You’ll be reading Harry Potter to them before you know it! My son and I read this together about a year ago – it was his school’s pick for a school-wide read. They did all sorts of activities about it. He got so emotional reading it and so did I! I had read it as a kid but of course you come to books differently as an adult. But I’m glad he’s read it, even if he doesn’t remember it much later in life (he was 5 at the time.) We’ll find out this year’s pick in January, I’m excited to see what it will be! This is a wonderful book. I used to teach the book to my third graders (back when I taught that grade). The big scene at the end… I dreaded when we were approaching it. Very hard to read it out loud. But I still did it every year. That is so neat! Thanks for sharing. Aww I didn’t think of that in reading out loud! That would be hard! Such a heartbreaking moment. Great review! I remember my teacher reading this book to my class when I was really young. It’s probably time for a reread. I love this one! I loved it as a child, but now that I’m older I find it holds up–and that’s not always the case with children’s book! It has that realism and complexity that you mention.